Unfortunately bullying isn’t confined to the school playground and some people continue the intimidation and victimization into the adult lives. If you come across one of these bullies at work it can make your job very stressful and upsetting. There is no reason why you should put up with their childish behaviour and you must make a stand to show them they can’t carry on with it. When somebody is picking on you for no apparent reason it is natural to think that it is all your fault. Was there something you did or something you said to provoke them? There is no excuse for bullying and no justification for making someone else’s life a misery. Their reasons for treating you this way stem from their own insecurities and weaknesses, not something that you have done wrong. Don’t blame yourself and instead look for ways to stop their unfair and irresponsible actions. You may think that if you can just ignore the taunting then the bullies will get bored and stop harassing you. This may happen but it is unlikely. These kind of people thrive on making themselves feel good by putting other people down and will continue doing it as long as they go unchallenged. You have the right to feel comfortable in your work environment and shouldn’t accept their behaviour. If they do it to you they will probably be causing someone else the same pain too. Bullies aren’t used to people standing up to them. That’s why they have got away with the actions for so long. The best way to challenge them is to be upfront about it. Depending on the situation, it may be better to talk to them alone or in front of colleagues. Alone, means making less of a scene and if you think they will be receptive you may be able to sort your differences out maturely. If you feel they need a shock tactic, then talking back the net time they taunt you may be the embarrassment they need to stop. If trying to talk directly to your bullies isn’t working then you may need to take further action. 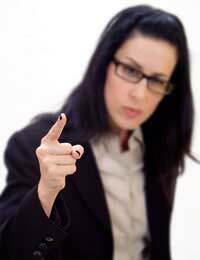 Your company should have policies in place for dealing with workplace bullying and should not be willing to accept it. Keep a diary of the incidents and have firm examples to tell your boss about. Try and keep calm and suggest ways in which your boss could help to resolve the situation. You do not need to put up with bullying and if your boss doesn’t take you seriously then you have every right to approach a union or employment tribunal. Bullying is not about you or anything you have done wrong but about the bully’s own insecurities. You should not have to out up with their behaviour so try and confront them about what they are doing. If that doesn’t work then approach your boss with examples of the unfair treatment. Bullying should not be tolerated and you have the right to feel happy, safe and relaxed at work.